A video emerged of at least one fan grabbing Styles’ crotch at a benefit concert in California. FANS OF THE singer Harry Styles have expressed their disgust after the former One Direction member was groped on stage at a benefit concert in California. A video emerged on Twitter last night which appeared to show at least one fan grabbing the actor’s crotch while he performed on stage. Styles then batted the hands away and quickly moved away from the edge of the stage. 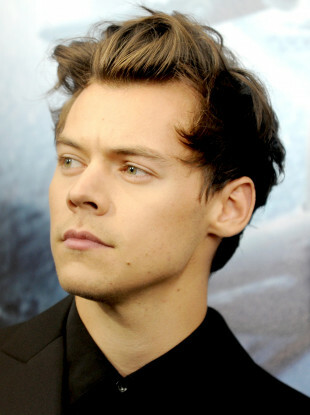 Using the hashtag “Respect Harry”, fans took to Twitter to express their anger at people’s blasé nature towards sexual assault against men. “Harry Styles was sexually assaulted at his own show, stop calling it groping or fondling. It’s. Sexual. Assault,” one fan wrote. Others said that the video of the sexual assault shouldn’t be widely available online for others to watch repeatedly. The We Can Survive concert in California was a charity event held in aid of breast cancer. Sam Smith, Pink and Lorde were also performing, as well as Styles’ former One Direction bandmate Niall Horan. Styles is shot to fame through his membership of One Direction, which was formed as part of X Factor in 2010. Since the group disbanded, he’s released a solo album, and also recently played the part of a British soldier in Christopher Nolan’s movie Dunkirk. Email “Fans 'disgusted' after singer Harry Styles was sexually assaulted on stage”. Feedback on “Fans 'disgusted' after singer Harry Styles was sexually assaulted on stage”.